At Holy Spirit Verona, we welcome you to celebrate the life of a loved one in our church. We promise to do all in our power not only to make this funeral an appropriate event, but also to support you in your life in Christ and in the difficult transition you face. The liturgy for the dead is an Easter liturgy, which finds all its meaning in the resurrection. Because Jesus was raised from the dead, we, too, shall be raised. This joy does not make human grief unchristian. The very love we have for each other in Christ brings deep sorry when we are parted by death, and Jesus himself wept at the grave of his friend. Who can be buried from Holy Spirit? This is your responsibility. 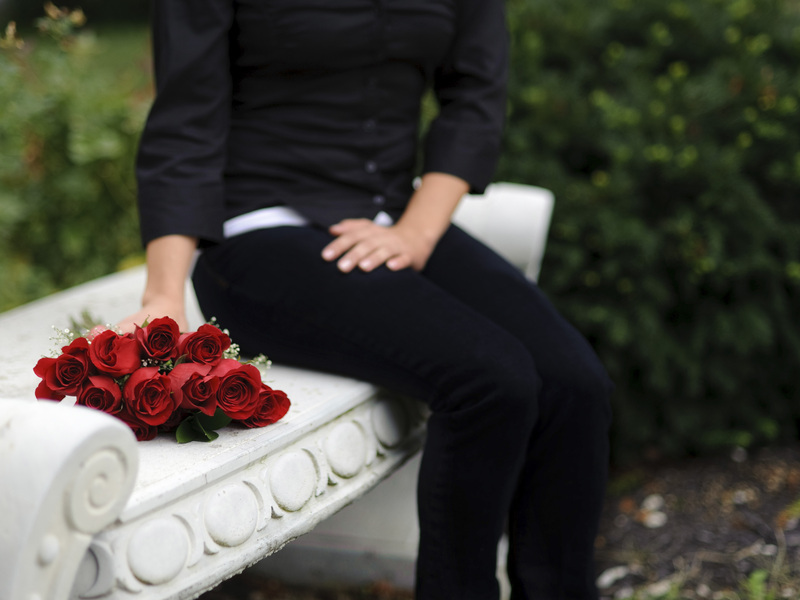 If you are working with a funeral home, they may be able to assist. Please consider Holy Spirit Verona for memorial gifts in memory of the dearly departed. Space for the interment of ashes is available in our Memorial Garden if you wish. There is no charge for active parish members; however, non-members are charged $1,000, which includes engraving the name on the interior wall of the Church. There is no charge for this or any other sacramental rite. As a sign of God’s love freely bestowed upon all people, the rite for the burial of the dead comes without a price tag. Certain costs must be paid, including reasonable amount for building use and the services of staff, musicians, and clergy. (The building-use fee is waived for those currently supporting Holy Spirit Verona financially, including their immediate family.) Many people, however, feel called to make a monetary donation in thanksgiving for a loved one. A donation to the discretionary fund of the parish is both welcome and appreciated—and fully tax-deductible. Make checks payable to “Church of the Holy Spirit,” enter “Discretionary Fund” in the memorandum line, and give your donation directly to the priest. Please contact our Rector, the Rev. Jerry A. Racioppi, at rector@holyspiritverona.org.